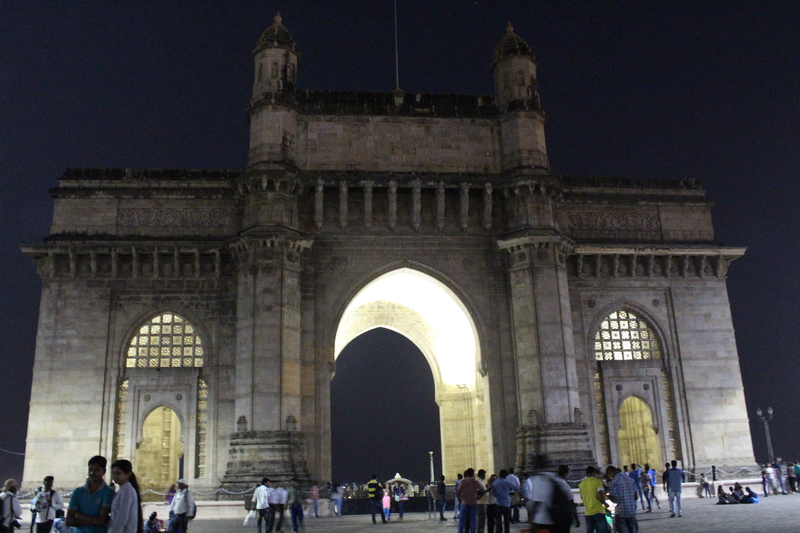 18.00 hrs – Gateway of India 🙂 . Got a chance to see this beauty with it’s lighting and all 🙂 . My day didn’t come to an end yet. 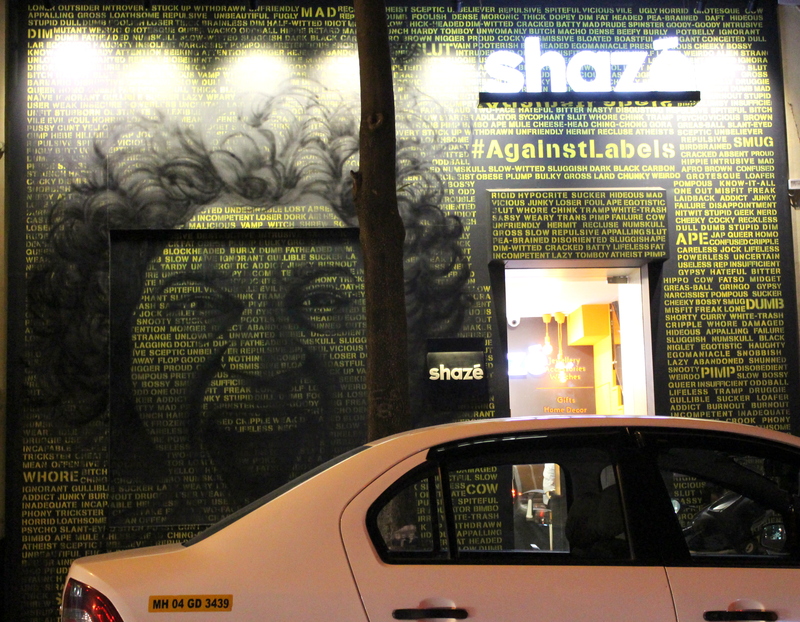 I didn’t miss to catch the words that were told by the cab driver while we were going to the Siddhi Vinayak temple that had we told him, he would have brought us there passing through the Bandra – Worli Sea Link. So, we decided that our return journey would be only by passing this 🙂 . One more thing which I didn’t forget is that we are short of money and I should find an ATM with cash, thanks to Demonetization! While walking towards the Chatraparthi Shivaji Terminus, we came across a lot of ATMs but only without any cash 😦 . 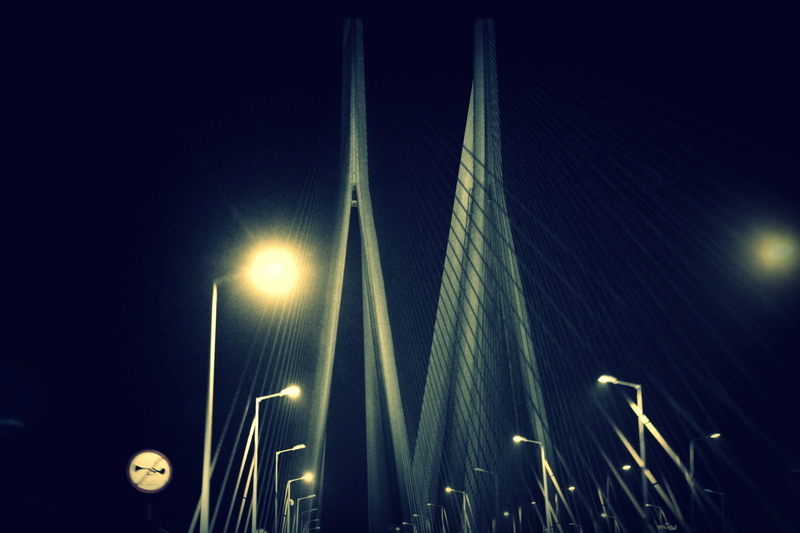 After few inquiries, we came to know that the feasible thing to do is to travel to Bandra by a local and catch an Ola cab from there to Andheri routed through the Sealink. 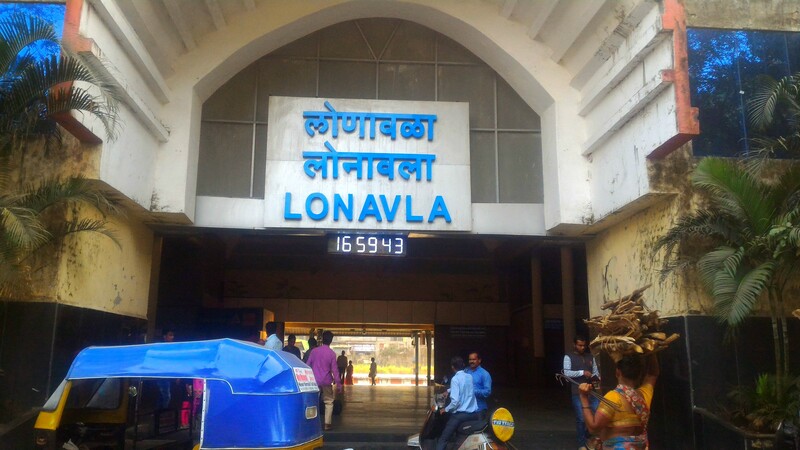 19.30 hrs – Reached the bandra station and took the cab and asked him to execute our plan 😉 . Thanks to the Demonetization again, as there was no toll fee those days and we save few bucks 🙂 . No pedestrians, buses and trucks are allowed on this. Only private vehicles are allowed and no one can stop on this to click photographs and if one did so, it’s sure that you will land up infront of the Mumbai Police. The 5.6 km long cable-styled bridge that crosses the Arabian Sea and links Mumbai’s suburbs with the southern part of the city is considered to be an engineering marvel. 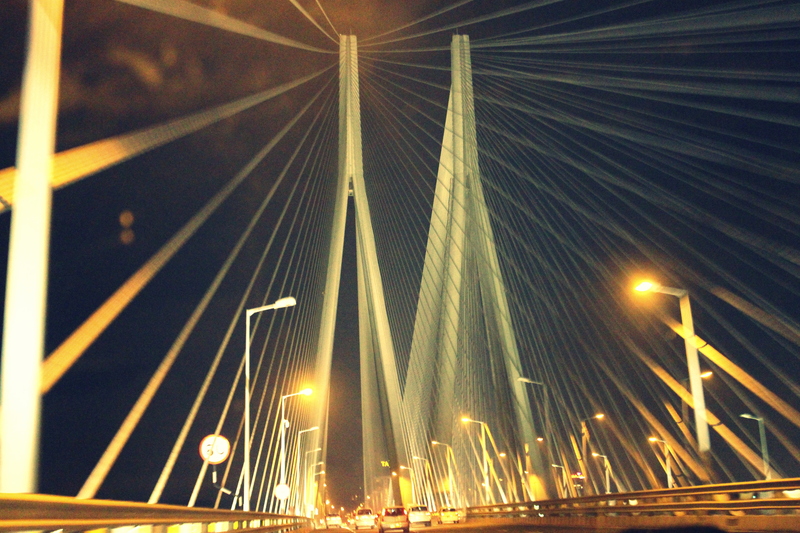 All eight lanes of the Rajiv Gandhi Sea Link (as it’s officially called) were opened to the public in March, 2010. The infrastructure is remarkable, with gigantic pillars constructed inside the sea. It is said that the steel wire used in the bridge equals the circumference of the earth. 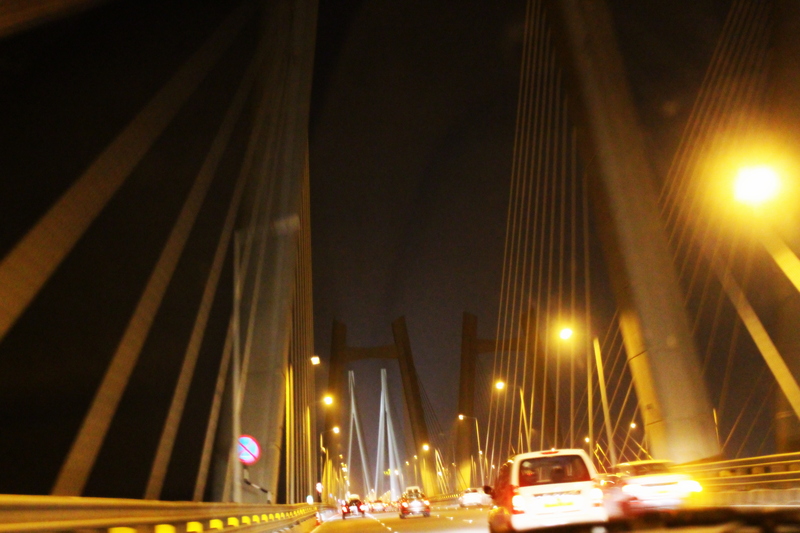 The Sea Link is mainly to reduce the load on the Mahim Causeway, the only road connecting the western suburbs to Mumbai and save the travel time (from 40 mins to 8 mins) and improvement in environment, especially in terms of reduction in air and noise pollution in Mahim, Dadar, Prabhadevi and Worli areas of Mumbai. Now, there is a proposal for the Bandra-Versova Sea Link, a northward extension to the Worli-Bandra Sea Link, that represents the last leg of the one which starts from Nariman Point. This 9.9 km long link is to be built 900 metres into the sea. 21.30 hrs – Reached home along with fully slept Ryan and half-slept Mythri 🙂 . But the scene reversed as we entered the home. After refreshing ourselves, Mythri is the first one to sleep and Ryan and I started to grab some food. This is the time, when I realized that the much bigger Rs. 2000 note is not of much use during crisis! Think off, we ordered some pizzas from Dominos, and the bill was Rs. 800 and they are not ready to accept a new Rs. 2000 note 😦 and ultimately, we couldn’t do much other than cancelling our order 😦 . I could understand that if I need to continue on my travel I have to convert this Rs. 2000 into 100s as soon as possible. 22.00 hrs – Ryan and I started our quest for 100 rupee notes and almost went around all the shops and hotels that were there on the Sahara Airport Road, which was of no use. When we entered the last hotel which is left, luckily we could see few persons who were in possession of some 100 rupee notes and when we approached them, the only words he spoke to us were that I have to give him 20% of 2000 (i.e. 400) if I need change. After a lot of bargain, he reduced the commission percentage to 10% and I got Rupees 1800 for my 2000. We don’t have any other go, do we? 21.00 hrs – Time to go home! 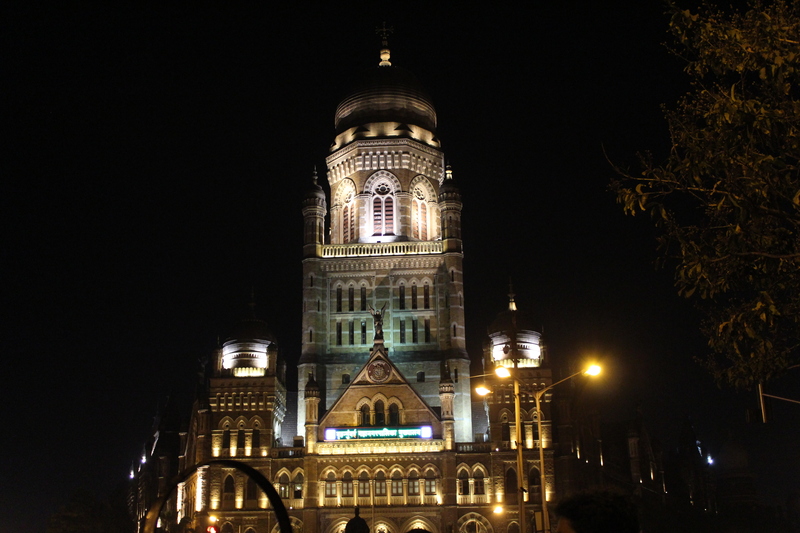 We walked towards the famous Chatrapathi Shivaji Terminus to catch a local train to Andheri. 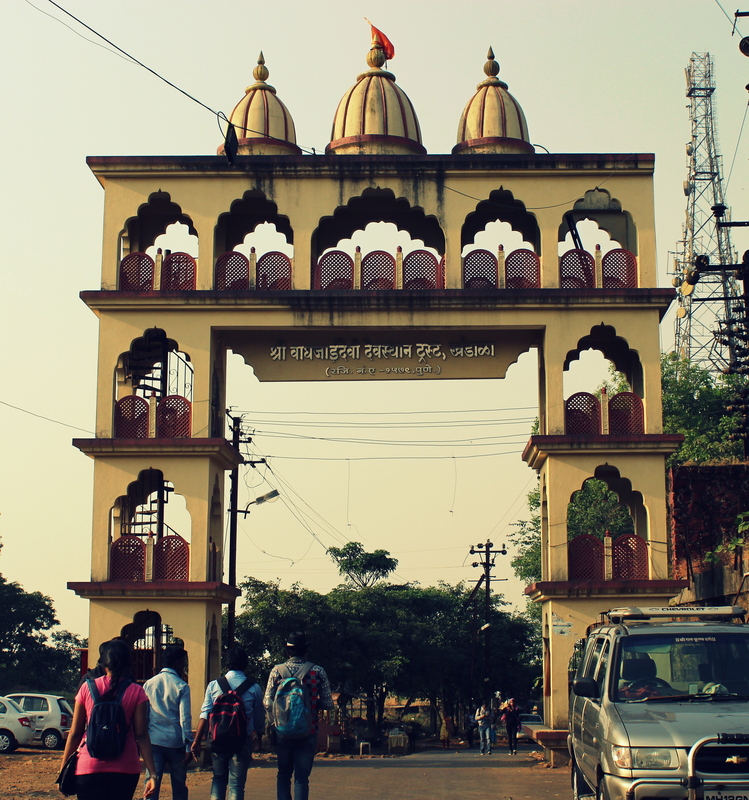 We clicked some photographs infront of this beautiful structure as well as the Mumbai Nagarapalika (Municipal building) and passed through one of the busiest sub-ways perhaps, which was still buzzing with people at that point of time. 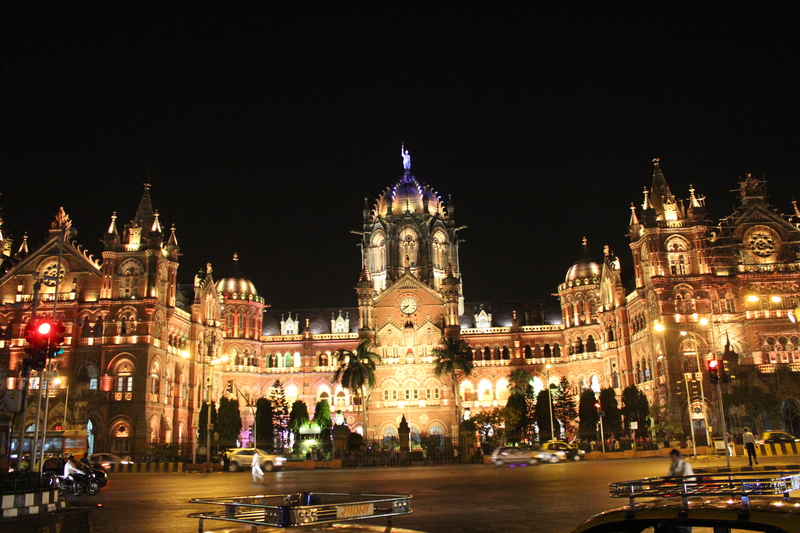 The Chhatrapati Shivaji Terminus, formerly known as Victoria Terminus Station, in Mumbai, is an outstanding example of Victorian Gothic Revival architecture in India, blended with themes deriving from Indian traditional architecture. 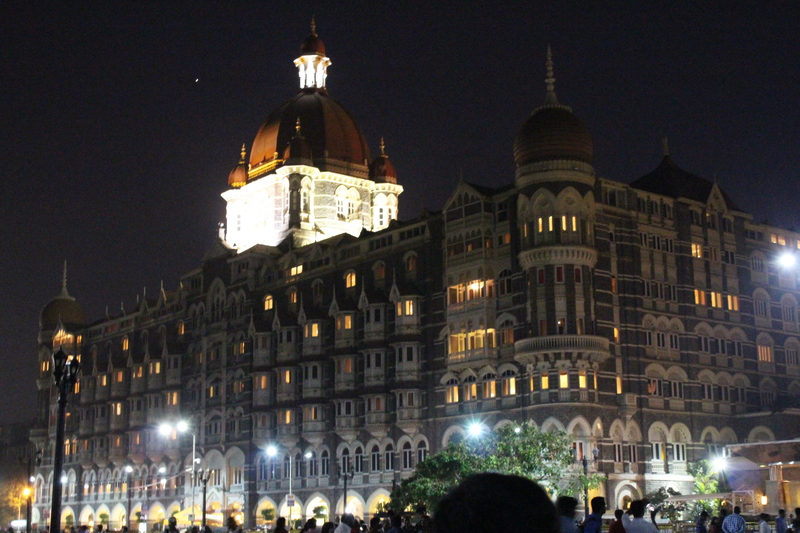 The building, designed by the British architect F. W. Stevens, became the symbol of Bombay as the ‘Gothic City’ and the major international mercantile port of India. The terminal was built over 10 years, starting in 1878. It was a mix of the British, Italian architectures and Indian palace architecture and this blend became a unique style of Bombay. 07.40 hrs – I was standing in a queue of two persons at the State Bank of Travancore ATM at the Domestic terminal of Trivandrum and it just took me 10 minutes to get 20 crisp hundred rupee notes and I was on cloud 9 as I have got 4000 rupees in my wallet and thought that it’s not going to be a alright in the current crisis. 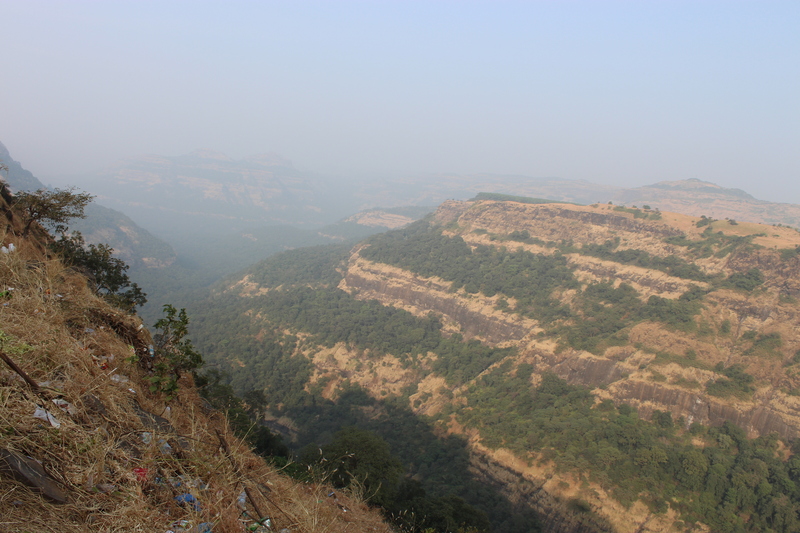 09.15 – Call for boarding was given and 09.30 hrs – Boarded the flight, 09.40 hrs – The flight took off..
11.45 hrs – Mythri and Ryan – my nephew, were waiting for me outside the airport and we left to my brother’s place which is in Andheri East. Mumbai is said to have been built on seven islands that were part of Portuguese territories and that the British received it as a part of dowry when in 1661 King Charles II married the Portuguese Catherine of Braganza. 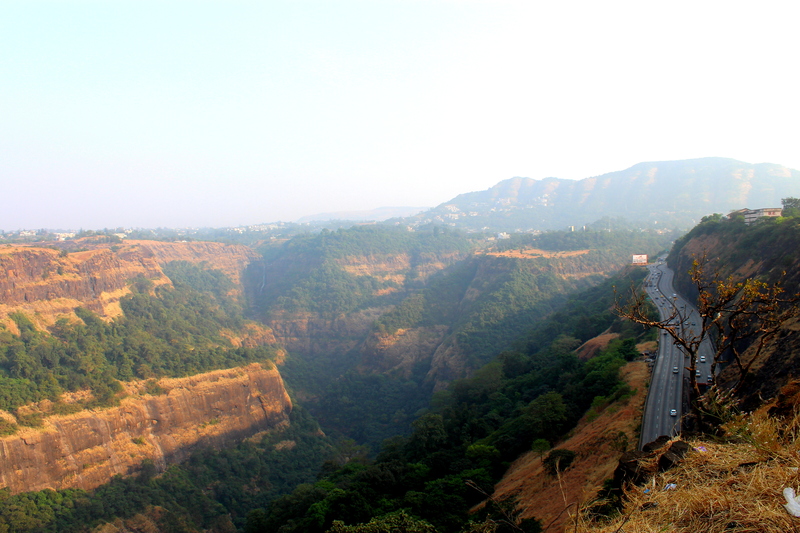 Mumbai stretches from north to south, and Mumbaikars call the south region ‘town’ while the northern part constitutes mostly of ‘suburbs’. 12.00 hrs – A friend of mine in Mumbai Ganesh, is going to take us around the city for the rest of the day. We quickly had our lunch and left @ 13.00 hrs to meet catch up with Ganesh at the Cotton Green Station. 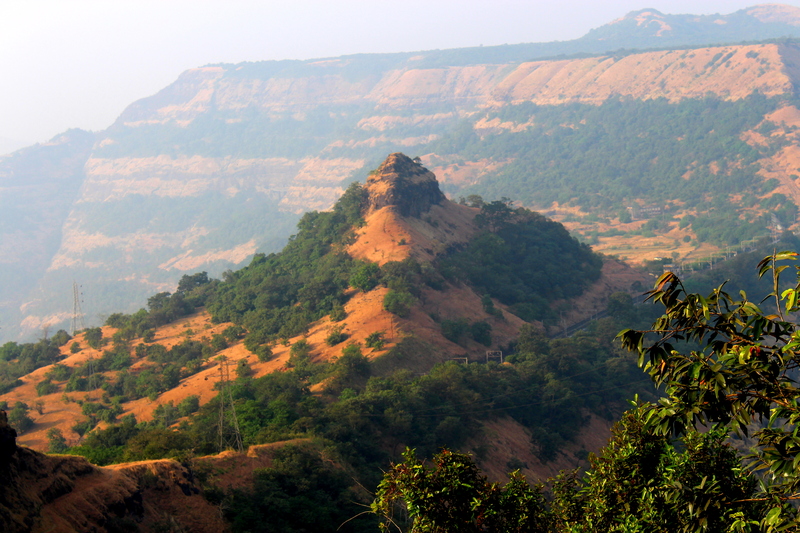 The Ola cab services is quick enough to pick us from our home and leave us at our destination.